But Rebecca's mother Karen fears the new world of robots, and insists her brilliant daughter join a university research team, studying the hazards of a complete robotic economy. Rebecca's father Quentin was obsessed with the subject to a degree that even her mother considered absurd, prior to his untimely death. So long as she can reserve enough of her time to pursue her true passions on the side, Rebecca half-heartedly agrees to join the research team, if only to please her widowed mother. There she joins a post-doc named Liam, whose conspiracy theories rival even those of her late father. Liam is convinced that world Republic leader William Halpert’s worldwide challenge for researchers to develop synthetic creativity will lead not to the promised utopia, in which every kind of human suffering has been eradicated, but rather to an apocalypse. 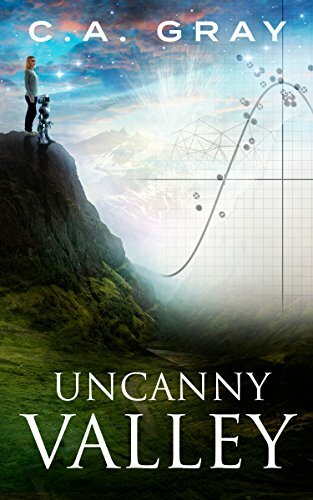 Rebecca, whose best friend is her own companion bot Madeline, writes Liam off as a bot-hating conspiracy theorist, just like her father was… until she learns that her father’s death might not have been due to mere happenstance.